In Tzolk'in: The Mayan Calendar - Tribes & Prophecies, each player now becomes the leader of a particular tribe, each of which has a special ability that only that player can use. 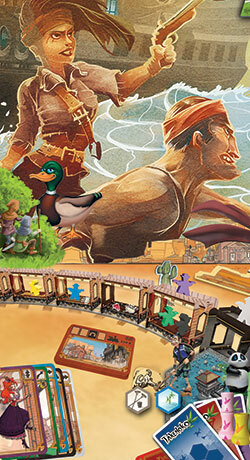 The game includes 13 tribes to provide plenty of variety. (You know that 13 is a spooky and magical number, right? 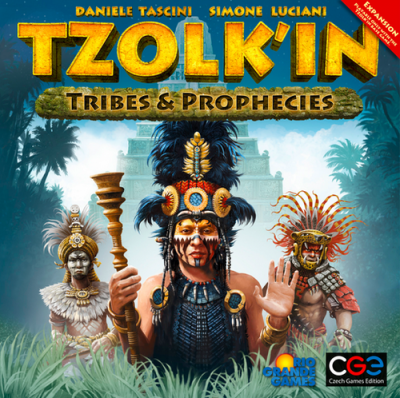 )\n\nWith this expansion, the game of Tzolk'in: The Mayan Calendar is also influenced by three prophecies that are revealed ahead of time and fulfilled when the time is right. These prophecies give players other opportunities to score points, but they can also lose points if they don't prepare themselves for the prophecy effects. As with the tribes, the expansion includes 13 prophecies. (Woohoo, 13 again! 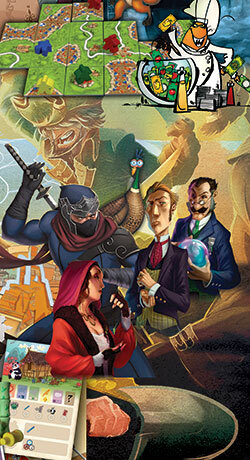 )\n\nThis expansion also has new buildings and components that allow up to five players to compete.